Why do some societies manage to control corruption so that it manifests itself only occasionally, while other societies remain systemically corrupt? This book is about how societies reach that point when integrity becomes the norm and corruption the exception in regard to how public affairs are run and public resources are allocated. It primarily asks what lessons we have learned from historical and contemporary experiences in developing corruption control, which can aid policy-makers and civil societies in steering and expediting this process. Few states now remain without either an anticorruption agency or an Ombudsman, yet no statistical evidence can be found that they actually induce progress. 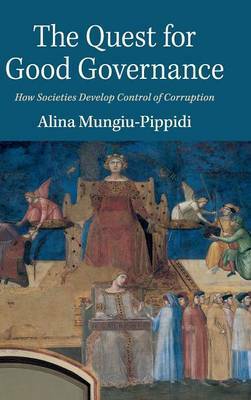 Using both historical and contemporary studies and easy to understand statistics, Alina Mungiu-Pippidi looks at how to diagnose, measure and change governance so that those entrusted with power and authority manage to defend public resources.